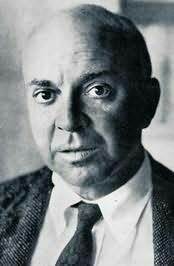 John Roderigo Dos Passos was an American novelist and artist. He received a first-class education at The Choate School, in Connecticut, in 1907, under the name John Roderigo Madison. Later, he traveled with his tutor on a tour through France, England, Italy, Greece and the Middle East to study classical art, architecture and literature. In 1912 he attended Harvard University and, after graduating in 1916, he traveled to Spain to continue his studies. In 1917 he volunteered for the S.S.U. 60 of the Norton-Harjes Ambulance Corps, along with E.E. Cummings and Robert Hillyer. By the late summer of 1918, he had completed a draft of his first novel and, at the same time, he had to report for duty in the U.S. Army Medical Corps, in Pennsylvania. When the war was over, he stayed in Paris, where the U.S. Army Overseas Education Commission allowed him to study anthropology at the Sorbonne. Considered one of the Lost Generation writers, Dos Passos published his first novel in 1920, titled One Man's Initiation: 1917, followed by an antiwar story, Three Soldiers, which brought him considerable recognition. His 1925 novel about life in New York City, titled Manhattan Transfer was a success. In 1937 he returned to Spain with Hemingway, but the views he had on the Communist movement had already begun to change, which sentenced the end of his friendship with Hemingway and Herbert Matthews.